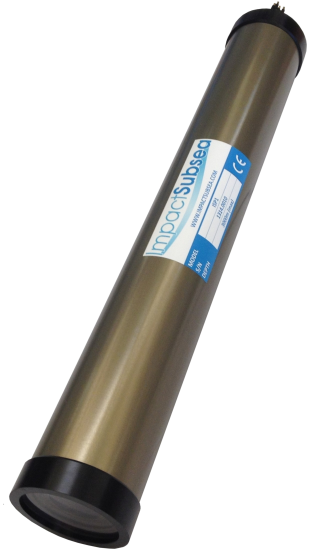 Lightweight and of a small diameter ensures that the ISP1 housing is suitable for a large variety of subsea applications, including installation to a AUV or ROV. The ISP1 can be provided with an integrated Depth sensor, AHRS, battery holder or a variety of other components – contact us to discuss your requirements. The body and endcap is constructed from Aluminium (7075-T6) which is then hard anodised. This grade of Aluminium is ideal for high pressure environments due to its strength and for underwater operations due to its light weight. The end cap is retained in place with a screw on acetal copolymer collar. The end cap can support a variety of underwater connectors. The view port is constructed from polycarbonate, ensuring a highly transparent window for use with a underwater camera or subsea display. The view port is retained in place with a screw on acetal copolymer collar. The collar also acts to prevent damage to the anodising on the ends of the housing – ensuring a long lifetime. The viewport is ideal for indication LEDs. Significant space is provided for batteries, electronics etc. Connectors can be used for data transfer. Create you own subsea camera – chose the camera of choice for your application. Room for camera electronics, batteries, logger etc. Create your own instrument package and house in the ISP1. Viewport provides capability for a camera, led display or visual readout. 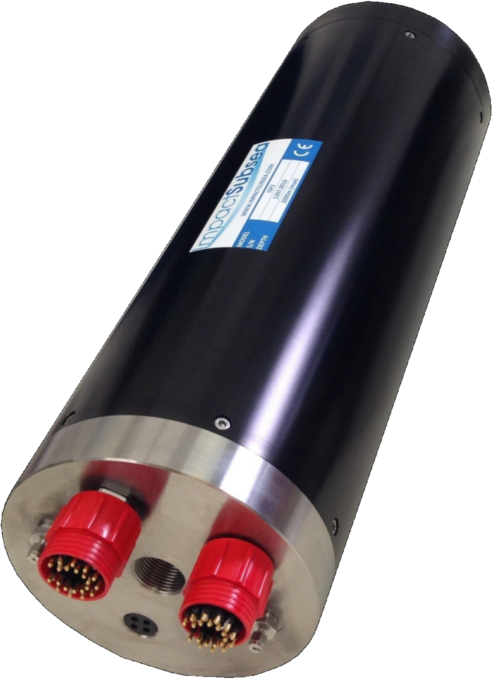 Lightweight and of a large diameter ensures that the ISP2 housing is suitable for a large variety of subsea applications, including installation to a AUV or ROV. The ISP2 can be provided with an integrated Depth sensor, AHRS, battery holder, differential pressure sensor or a variety of other components – contact us to discuss your requirements. The body and endcaps areconstructed from Aluminium (7075-T6) which is then hard anodised. This grade of Aluminium is ideal for high pressure environments due to its strength and for underwater operations due to its light weight. The endcaps can optionally be supplied in Titanium if required. The end cap is retained in place with multiple stainless steel screws. The end cap can support a variety of underwater connectors. 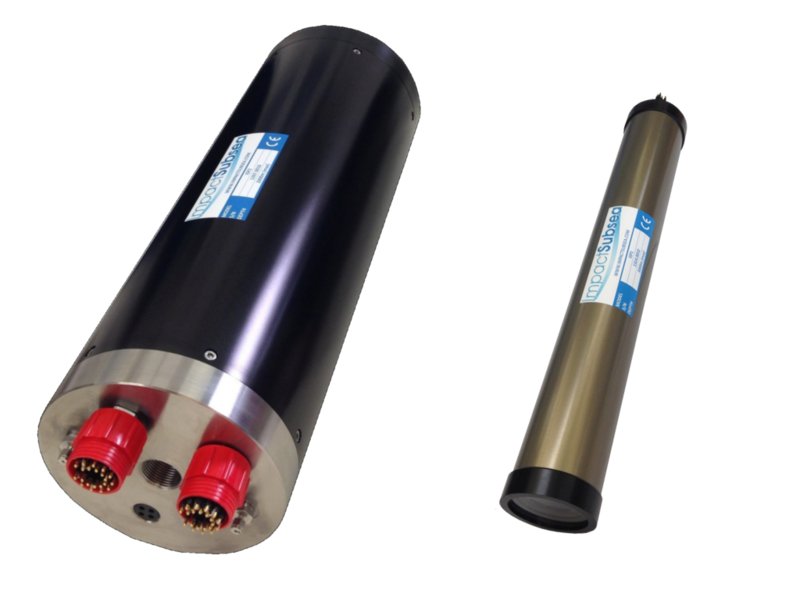 Create you own subsea batter pod – chose the batteries of choice for your application. Room for electronics, batteries, logger etc.